Fixing the fragmented customer data problem with Aislelabs Customer Hub. Customer data fragmentation is an enormous issue in enterprise organizations when it comes to data collected from multiple touch-points in different systems. Data silos are what separates you from a true understanding of your customers. 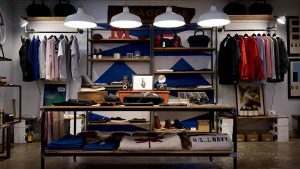 Customer data fragmentation arises when collection takes place at multiple touch-points, such as in-store, online, during special events, etc. Each of these touch-points have their own incomplete and possibly overlapping, data view of the customer. With such partial data views, it is nearly impossible to assemble a true view of the customer. 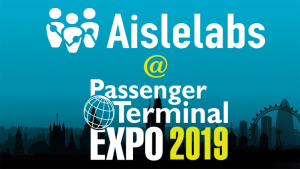 To solve this problem, Aislelabs is introducing Customer Hub, an all-in-one platform with integrated identity management, consolidated profiles, customizable web-signup forms, a self-serve privacy console, email marketing, and digital advertising. Here’s an example which demonstrates the issue. At the beginning of the week, a customer signs up online to the ecommerce portal of a retailer with their email via your mall’s web signup form. They are then given a quick survey to fill out. On the survey, the customer reveals that their name is Sam and that they like leather jackets. That information is now stored in an email marketing database. Later in the week, Sam visits a retailer’s brick and mortar store and logs onto the guest WiFi with Facebook. Through their social media, you learn that Sam is a woman along with her social interests and age group. This data is saved in another completely separate database. This creates a fragmented data view with two incomplete profiles of the same customer residing on different platforms. Marketing creates a targeted email campaign on women’s designer leather jackets. They need to create two campaigns, one for the email marketing database and one for the guest WiFi database. The campaign targets women who like leather jackets. Because neither platform knows that Sam is a woman and likes leather jackets, she is not marketed to. To make matters worse, the analytical data that marketing receives is now also fragmented. Marketing will need to manually check both campaigns and tediously cross reference data, which involves technical skills and rarely ever takes place. 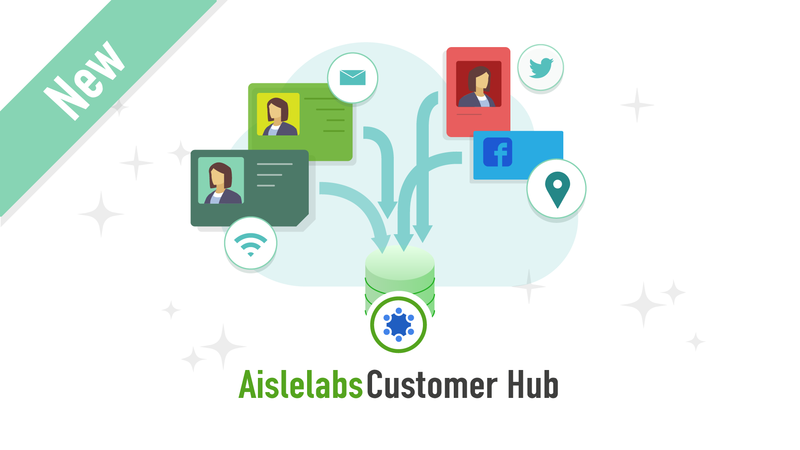 With Customer Hub, Aislelabs is able to combat data fragmentation and consolidate customer data from multiple lists and platforms. This effectively frees your data from these silos to provide more in-depth data on your customers, allowing to build more complete profiles which Aislelabs progressively enriches with actual in-store behaviour information of customers. In this same scenario using Customer Hub, Sam still signs up using the web form indicating she likes leather jackets and then a few days later visits the mall, signing into the guest WiFi which collects demographic and interest data. Customer Hub seamlessly unifies that information into a single profile so we know that Sam is a woman who likes leather jackets with a set array of other interests. During a marketing event, marketing only needs to run a single centralized campaign regardless of where the information has come from. Sam is included in the campaign because marketing now has a far more complete profile. All of the analytical data generated by the campaign is now accessible from a single consolidated platform. Another benefit of streamlining this information into a unified database is to make privacy management straightforward. Customer Hub allows customers to access and manage all their data from a single console and prevents violations of privacy laws anywhere in the world. Along with consolidating data creating a robust image of your customers, Customer Hub also reduces any barriers for possible data capture. 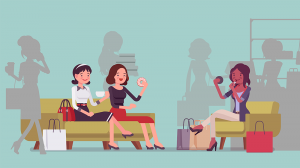 Instead of inundating customers with a long questionnaire at sign-up which most users ignore, Customer Hub is designed to roll out shorter surveys over a longer period of time to progressively build customer profiles. This assures that your customers aren’t overloaded with questions upfront and are more likely to respond in the long run — all while continuously engaging with your brand. The consolidated data, along with our artificial intelligence and deep learning platforms, create consolidated profiles irrespective of how many customer touch-points you deploy. These profiles help reveal hidden insights into your customer database that would be impossible to uncover otherwise. Customer Hub is an extension being added to our digital marketing platform and will be available to all clients as part of the solution. You can execute email and multi-channel campaigns, run smart promotions, smart surveys, SMS, paid advertising, retarget on social networks and so much more. All marketing campaigns can be run natively within the Aislelabs platform. Build beautiful web sign up forms through a self-serve editor built right into Customer Hub. Customize the look and feel of your sign up form to tailor it to your own branding and marketing guidelines. Manage schemas and create forms with custom profile fields to learn more about who your customers are and effortlessly adapt them to your unique informational needs. Customer Hub provides a streamlined privacy management user experience through a login process that requires no password. All a customer needs to provide is their associated email address and a magic link to access their profile is then emailed directly to them. As part of Customer Hub, your customers will have access to their data sharing preferences and subscriptions through a passwordless self-serve management portal. Along with privacy control, users have access to their own identity in order to manage their profile information. This is also available through Customer Hub’s passwordless login process self-serve login process. 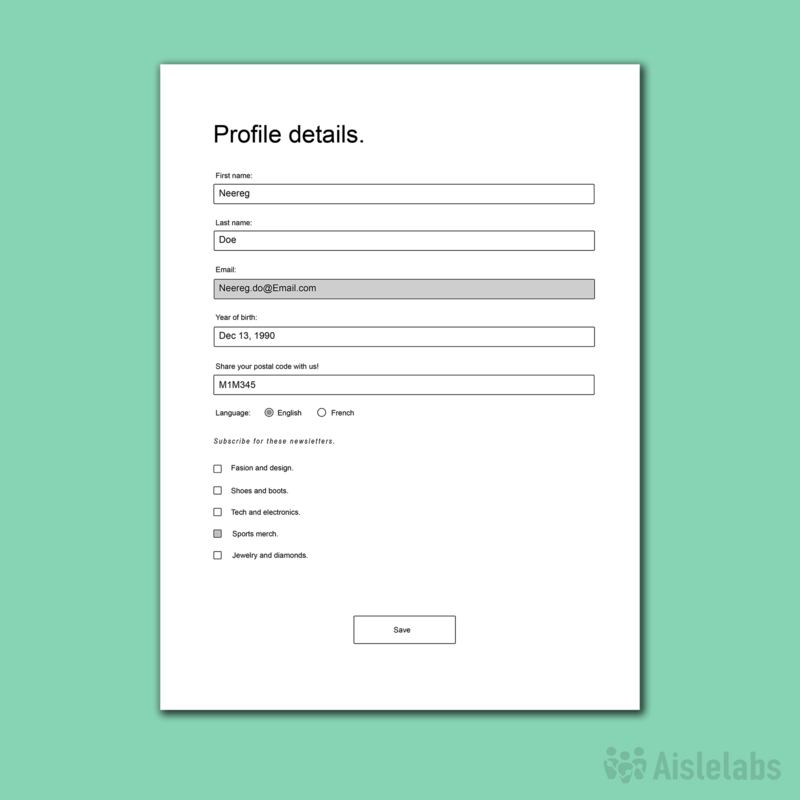 Through Aislelabs profile management portal, a user can modify and edit their profile through the available fields allowing them to comfortably control what information they share. Passwordless identity allows customers self-serve access to their data. All customer data is accessible from a single place, allowing users to easily manage their own profile data while complying with privacy laws from around the world, including CASL in Canada, which requires express consent from consumers. The platform is fully compliant with federal and state privacy laws in the US and other nations across all six continents. We’ve also recently made improvements to our privacy policies to meet the EU’s GDPR compliance (General Data Protection Regulation) guidelines which take effect in late May 2018. Click the following link to learn more about how Aislelabs adheres to the GDPR compliance guidelines. Aislelabs Customer Hub allows clients to easily collect and process data from a variety of different sources. This all-in-one platform is the perfect solution to data fragmentation and makes your digital marketing workflow several magnitudes faster by providing a one-stop-shop for list building and deep data analysis.